However, not everyone has the time or the money to train with the best of the best in the field so the next best thing to do is to check out their DVD instructionals. A closed guard is used when a BJJ combatant, with his back on the ground, attempts to control the other with the use of his or her legs. Abraham Marte has once again set out to eliminate the belief that a closed guard is a stalling position with his follow-up DVD instructional. In this volume, he teaches how to counter the pressure by redirecting them to various off angles. This DVD is considered as one of the best closed guard DVD instructionals out there so be sure to grab your copy. Learn more about this aggressive closed guard technique here! Want to get your hands on the ultimate guide to guard passing? Then check this one out. Bruno Frazatto, one of the most active competitors of his generation, teaches his favorite guard passing techniques in his first ever feature-length instructional series. Here he talks about his best, battle-tested guard passes that have become staples in his game. These are the techniques that have helped him rise to the top to become of the best featherweights in BJJ history! Get your ultimate guide to guard passing now! 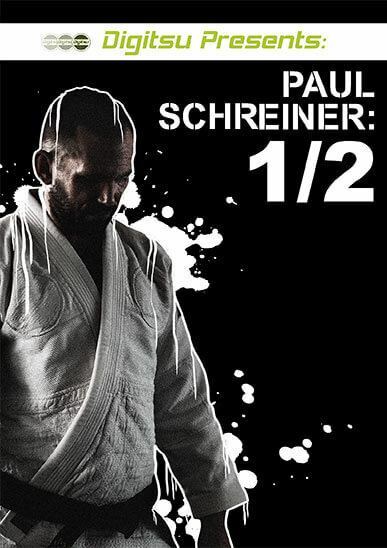 Paul is considered to be one of the most prolific instructors in the US and one of the best kept secrets in Jiu Jitsu. It’s not surprising – as he is largely responsible for developing so many talents in the industry through the Marcelo Garcia Academy in New York. In this DVD instructional, Paul shares his highly effective pressure passing system, which you can add to your game. It’s easy to find videos on this topic on YouTube so Paul made sure to make this the best content there is. He uses a very analytical approach in explaining several game changing strategies. You might just be able to figure out why a certain technique is not working for you and what you can do about it. Be prepared to learn in depth on the application of general principles and why you must do things in a certain way. Don’t miss out on Paul’s analytical approach to teaching! Not to be biased with Paul and his techniques, but it would be a mistake not to include this training DVD in our list. If you’re a half guard player, or are training to be one, this is definitely for you. Here, Paul once again shares his half guard system and other techniques that have been tested, retested and refined through years of experience. It’s also being constantly improved at one of the toughest gyms in the world, the Marcelo Garcia Academy in NYC. Just like his previous instructional DVD, this one of Paul’s is not to be missed because he has made sure to methodically explain each move and why it works. It’s very important to know what your objectives are with each move and why it might work at a certain situation. Enhance your guard game with this DVD instructional! In this 2-DVD set, renowned instructor Joseph “Seph” Smith shares his highly effective De la Riva guard system, which ends up confusing one’s opponent – will they be swept in a certain direction or will they be submitted? It’s important that you have a solid understanding of how the half guard provides a good, solid foundation for your Reverse De la Riva game and Professor Smith makes sure to explain the theories and concepts and demonstrate the tactics that go along with it. If you want to up your RDLR game and master his web of different traps, you should go grab a copy of this instructional DVD. Develop and refine your RDLR game with this DVD instructional now! Didn’t quite find what you like or need to up your BJJ game? Head over to Digitsu to find the perfect DVD or On-Demand instructional for you.